Javier Muñiz was raised in the tough Pico-Union district of Los Angeles, California. It was here that he grew to worship the sounds of Cal Tjader, Willie Bobo, Mongo Santamaria and Carlos Santana. His musical passion has taken Muñiz all over Latin America to study with a number of master musicians including; Roberto Vizcacaino, Regino Jimenez Saenz, Mario Jaragui and Cuba’s legendary Changuito Quintana. Still, Muñiz’s virtuosity does not end with percussion. At any given time he may abandon his timbales, congas or bongo and take up the bass, guitar, tres or lend his voice to the chorus. It has been more than thirty years that Muñiz has been leading ensembles. 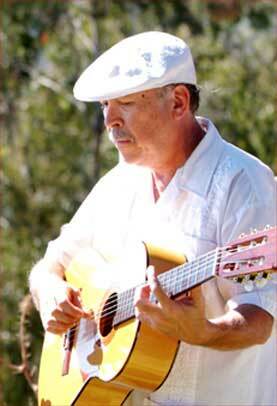 Since his beginnings in Los Angeles, Muñiz has led numerous groups including; The Rhythmagics, Salsa Cruz, Orquesta Gitano, Tocara, Family Affair and The Bluemoons. Broken English now celebrates over 20 years. Ishmael Huggins Diaz was born in Vieques, Puerto Rico in 1952. This was the same year Puerto Rico became an Estado Libre Asociado and part of the United States which paved the way for Huggins’ future migration. As a youth Ishmael reveled in the music of the islands. His home Puerto Rico provided him with the solid foundation of African influenced songs and rhythms while neighboring Jamaica filled him with a passion for reggae and ska music. 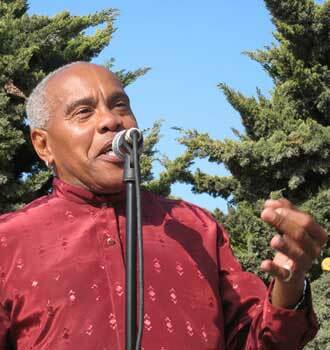 In 1967 Huggins made his trek to the United States where he continued his musical journey as a vocalist and front man of various bands including: Mighty High, Tao Rythmical, Sensible Shoes and Broken English.